Have you seen a dead cactus? I have, because I managed to kill one before. And it’s truly one of the saddest sights you would ever see. It was given to me as a souvenir from my co-worker’s Santa Fe vacation – The entire office was horrified and dismayed when they discovered a brown shriveled shell looping over a tiny Mexican clay pot on my desk months after. I was immediately declared to have “toxic black thumb”, never to care for any living things EVER. The fact that I now live with 3 dogs and grow vegetables is not because I am sufficiently rehabilitated, but because animals let me know when they need to be fed, and also I have, over the course of years, haphazardly yet continuously developed a catalog of plants that can survive my gardening skills (or the lack of). 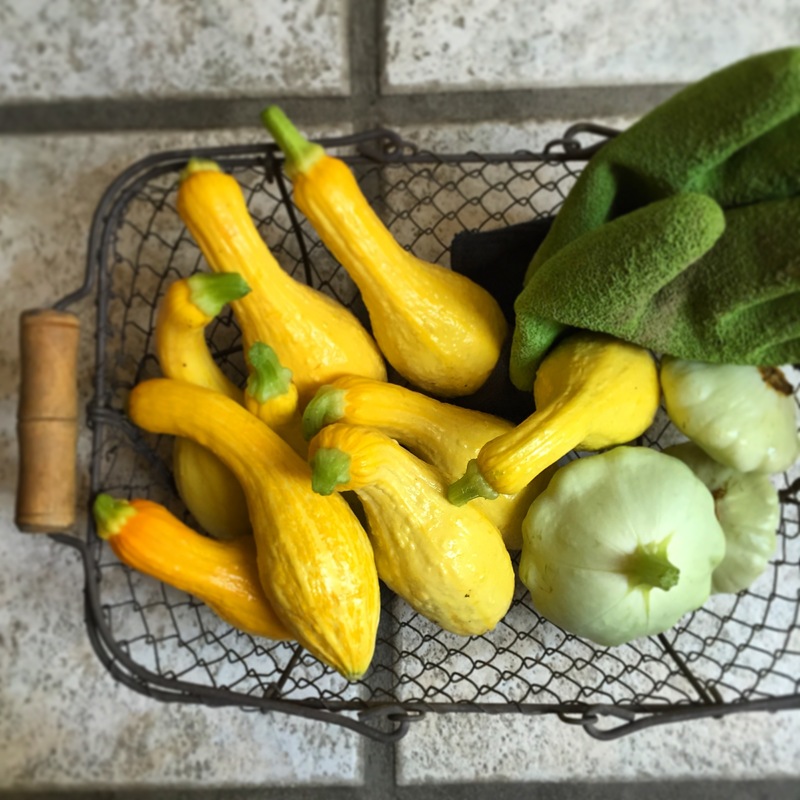 Squashes definitely make the cut in my short list, and every year I plant at least a couple of different kinds – This year I settled with yellow crookneck and pale green pattypan types. They did not disappoint, and in my opinion, now deserve to be made into something spectacular – Like these yummy fritters. 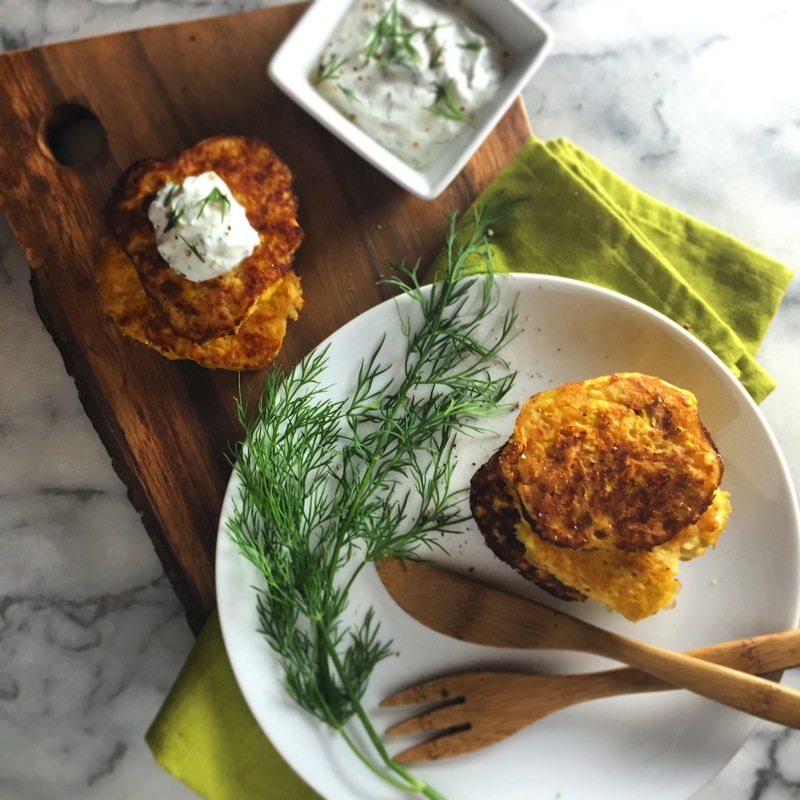 This entry was posted in Appetizer/Snack, Side Dish, Vegetables and Fruits and tagged dill, feta, fritter, gluten-free, Greek yogurt, Mediterranean, pancake, squash, vegetarian, zucchini on August 4, 2015 by snowcone. Cupcake recipe slightly modified from: Vegan Cupcakes Take Over the World: 75 Dairy-Free Recipes for Cupcakes that Rule (Isa Chandra Moskowitz), I found the recipe online but would definitely consider buying the book. OH MY GOD, I’M SO STRESSED OUT. I NEED TO EAT A CAKE, LIKE, RIGHT NOW. It was 11PM and I was at home hunching over my laptop, stumbling through never-ending to-do list for the projects that had to be wrapped up before holidays, which at this point was very quickly becoming to look less and less likely. Everybody knows a cake is a perfectly logical solution to mitigate the possibility of nervous breakdown under such crisis, and clearly it would be even more effective with chocolate. So, naturally, I decided to bake chocolate cupcake, although it did pose some logistical issues in this particular situation including the fact that I’m not a very good baker nor have I ever even tried to become one, as well as that I was all out of eggs. However, neither of these was going to stop me – 2 hours later, I was in the kitchen inhaling the most moist, fluffiest and richest cupcakes I ever baked. Once again I proved to myself it is when I do something I’m totally NOT supposed to be doing that I demonstrate remarkable concentration and skills. 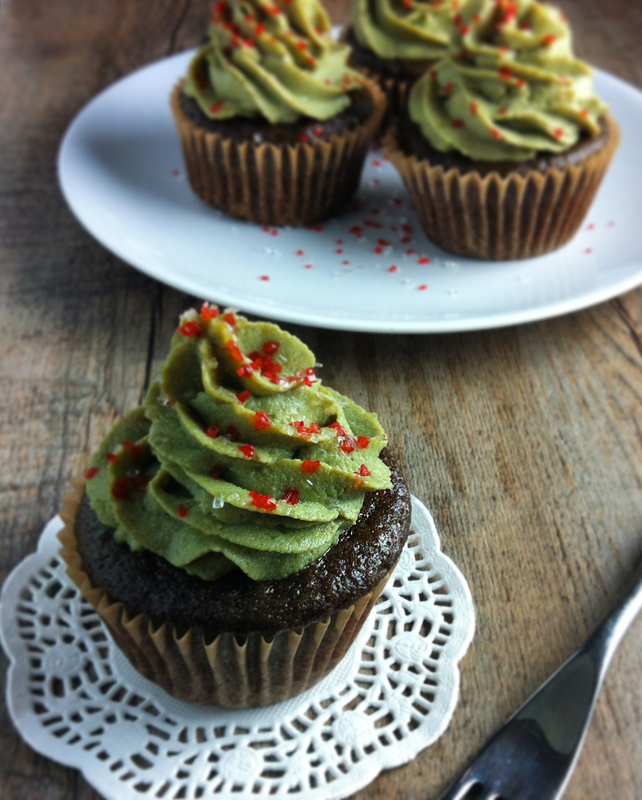 This entry was posted in Dessert, Tofu/Soy and tagged chocolate, cupcake, gluten-free, green tea, matcha, tofu, vegan, vegetarian on December 21, 2014 by snowcone. Nothing says summer like goya, “bitter melon” which is one of typical ingredients used in cuisines from Okinawa, the most Southern and hottest island in Japan. So imagine my surprise when I finally stepped out to the yard to check up on my vegetables this past weekend after a particularly busy month, and found a bunch of shiny bitter melons hanging behind the thick, green vines in a plot (where they self-seeded themselves from the previous year) that I haven’t even watered after summer squashes were all gone. 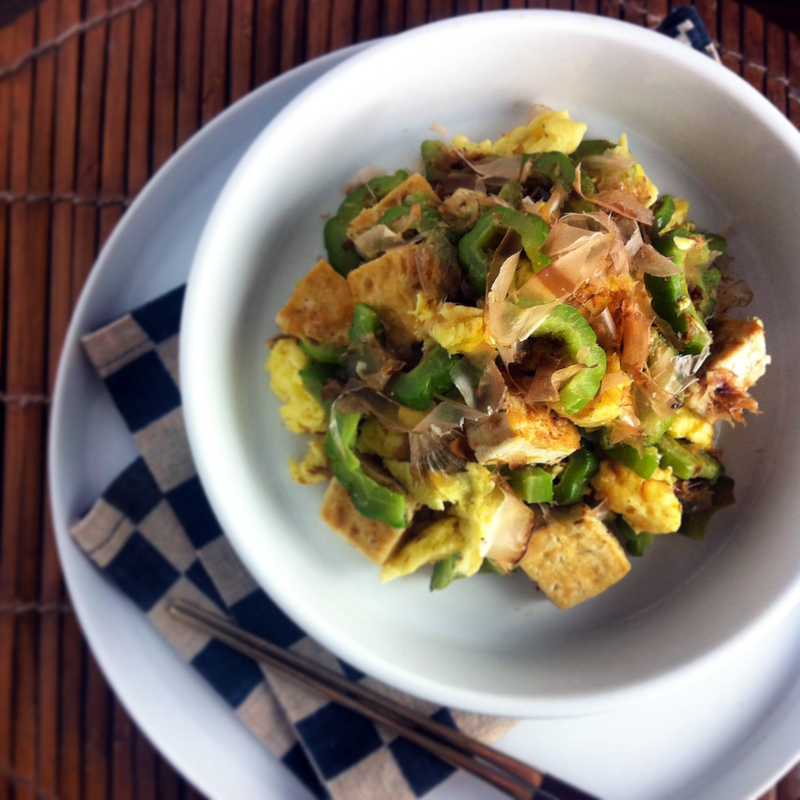 This entry was posted in Entree, Tofu/Soy, Vegetables and Fruits and tagged bitter melon, champloo, champuru, dried bonito flake, egg, goya, katsuobushi, tofu on December 6, 2014 by snowcone. Sometimes I wonder just how many vegetarian conversions mushrooms have been responsible for. People may decide to omit meat from their diet for ethical or health reasons – But I know a friend who one day completely stopped eating meat, and what convinced him (yes, it was a guy, too) that he could live without meat for the rest of his life was mushroom cannelloni he ate that day. 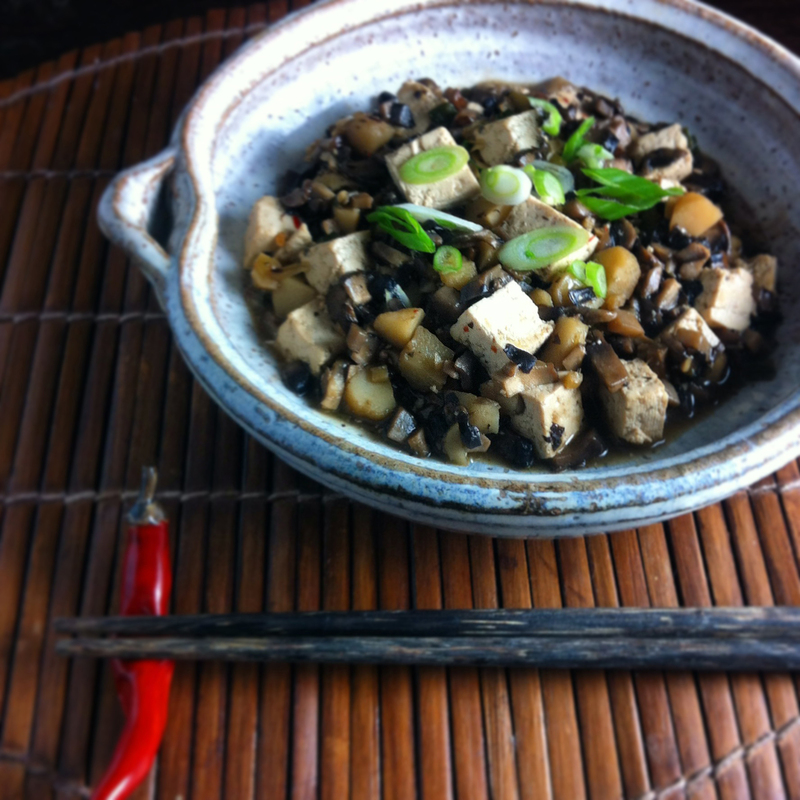 This entry was posted in Entree, Tofu/Soy and tagged Chinese, ma po tofu, mushrooms, tofu, vegan, vegetarian on November 1, 2014 by snowcone. I was in elementary school when my dad took us with him from Tokyo to San Francisco, while he was invited to attend a 6-month business training program at the headquarters of the American company he was working for. It was the first time for all of us to live outside of Japan, even for a short term. We arrived late summer, spent a hectic few weeks getting settled in, then October came around. Halloween is fairly established and enjoyed by many in Japan nowadays, but at that time not many Japanese even heard of it unless they had been in the States. So, imagine you are in the 3rd grade, never had Halloween before, and your mom (who probably just learned what it is, too) explains to you what will happen. Wait – Let me get this straight. … I get to dress up. … Then I go around neighborhood, while still being dressed up, knocking on everybody’s doors. … And they give me candy? 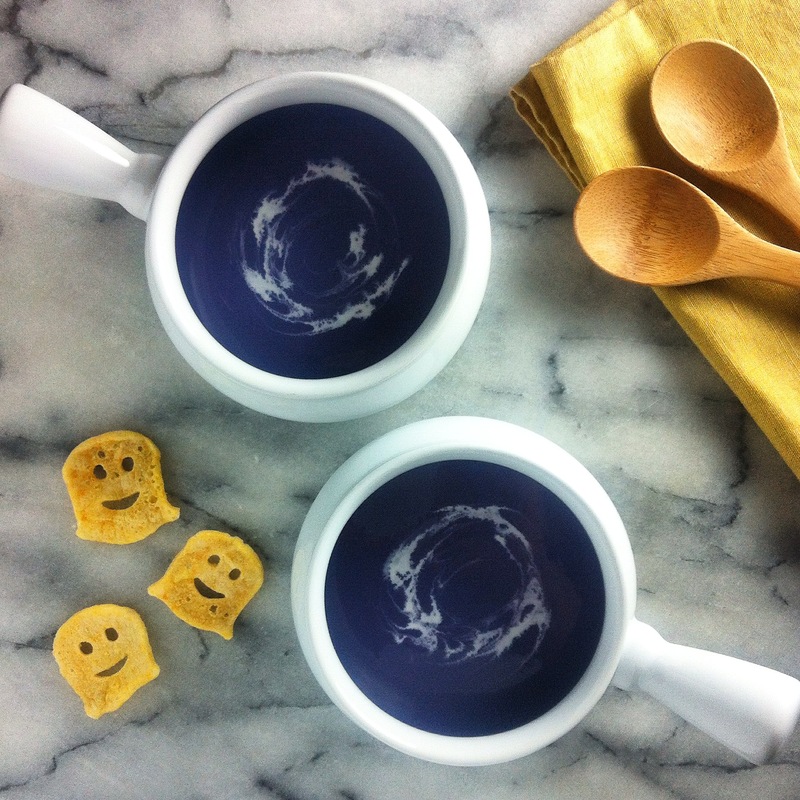 This entry was posted in Soup, Vegetables and Fruits and tagged Halloween, purple yam, soup, vegan, vegetarian on October 25, 2014 by snowcone.